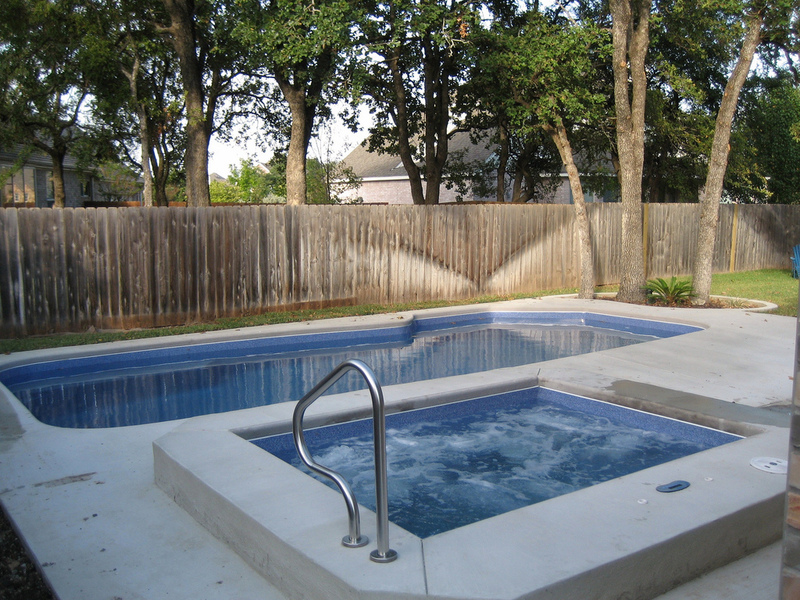 In choosing between a fiberglass or vinyl liner pool, each has its own merits that appeal to different people. Here we will discuss the advantages and disadvantages of each option so that you can see which one suits you best and make a smart decision! Vinyl liner pools have the lowest initial installation price, due to the lower material and labour costs. A vinyl liner is soft, gentle on the feet, prevents algae and bacterial growth, and has a non-porous surface. It uses fewer chemicals than a typical liner, which translates into lower costs for you! A vinyl liner is very flexible and customizable- you can pick any pool shape or depth you want, and the liner will still fit nicely. Vinyl liner replacements can add up and be heavy on the wallet. Even though liner warranties cover many years, after the first few years the value of the warranty drops tenfold. The liner loses its value every year, and the warranties do not cover any of the extra costs that come with replacing the liner (ie: labour). Such pools can significantly fade over the course of a few years, as the chlorine bleaches the liner and does not look very aesthetically appealing, despite the liner itself holding up well. You may have a difficult time matching steps and benches to the colour of your vinyl liner, also taking away from the aesthetic appeal of the pool. Vinyl liner pools have a lower resell value along with your home as compared to a fiberglass pool due to the costly liner replacements down the road, which are unavoidable. Buyers may be hesitant to make the purchase and commit to the long-term costs. Fiberglass pools are generally regarded as low maintenance as the costs are lower in the long run, and do not require a lot of fuss in terms of chemicals and repairs. With new technologies and innovations such as coloured finishing, cantilevered concrete, and many others, fiberglass pools are aesthetically pleasing and even measure up to concrete pools in this area. They are customizable to your specific preferences and your home’s design. Even though vinyl liner pools have a lower initial cost, fiberglass pools save you money in the long run as its long-term costs are significantly lower than those of a vinyl liner pool. This also adds to your home’s resell value as buyers will not have to commit to maintaining a costly swimming pool. You may be constrained in terms of pool depth and shape customization. Typically, the maximum depth is 8’ and a typical width is no more than 16’. A fiberglass pool’s initial cost may deter some prospective pool owners, as it is considerably higher than a vinyl liner pool’s initial cost. Especially for customers who are not thinking in a long-term perspective, this extra cost may be unappealing to them. In the end, the choice really comes down to your own personal preference, your budget and style of swimming pool you’re looking for. If you have questions about what option is best for you, feel free to contact us here.